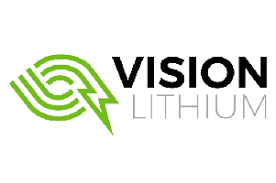 Vision Lithium Inc. (TSX-V: VLI) (OTC-PINK: ABEPF) is pleased to announce the results from its 2018 exploration programs on its 100% owned Sirmac Lithium Property. The Sirmac property, acquired from the Company’s largest shareholder, (“Nemaska Lithium Inc. (TSX: NMX) is located approximately 200 kilometres south of Nemaska’s Whabouchi Lithium Mine and 180 kilometres by road north-west of Chibougamau, Quebec. The Sirmac property consists of 194 mining claims covering approximately 10,350 hectares. Metallurgical tests are underway at SGS Lakefield. Outcrop samples and drill core samples from the winter drilling program as well as from the Nemaska drilling program of 2012 were sent to SGS for metallurgical tests in late spring and early summer. The mandate calls for SGS to produce a Li2O concentrate of the highest grade possible. Historical tests achieved concentrate grades above 6% and the Company expects the same results from the current study. Once the results of the concentrate grade are confirmed, Vision Lithium will then mandate SGS to make a battery grade lithium hydroxide and lithium carbonate. First results from the tests are expected shortly. The information of scientific or technical information in this release has been reviewed and approved by Yves Rougerie, P.GEO., President and CEO of the Company. Mr. Rougerie is a Qualified Person as defined by National Instrument 43-101.